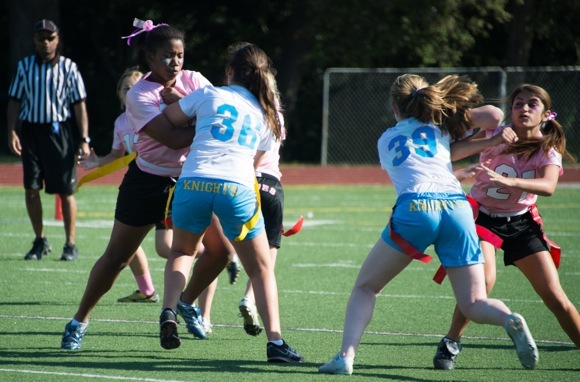 While the action at times appeared more “pushy” than “puffy”, it was all in good fun when the 8th grade girls of Menlo School and Sacred Heart School took to the football field yesterday to play a powderpuff game that ended in a 20 to 20 tie. The game, initially played in 2002, has become an annual tradition. 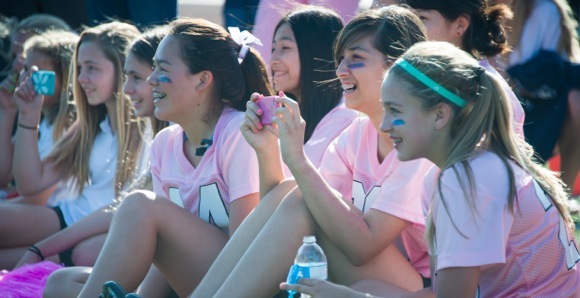 A special added attraction: 8th grade boys from both schools — many of whom play football for their school — are cheerleaders for their female counterparts, keeping the students and parents in attendance in high spirits.